I have tried out other alternative brick building toys before, and I have never found one that quite stacked up to the quality of real LEGO bricks. The Character Builder bricks themselves have a slightly more rigid feel to them than LEGO bricks, but seem to stack and adhere to each other well. The biggest problem I have with the set is how the panels and the top are all specialized pieces specific to the TARDIS shape. LEGO bricks and plates are made to be used and reused for a myriad of uses as opposed to being specifically used for one particular set in a single way. When I assembled the set, I attempted to put the lamp on the top, it popped off and would not stay on. I tried different pieces and none of them would stay on that peg. I was forced to use glue to keep it on, which is something I have never had to do with any brick building toys before. I don’t know if it was specific to my particular set or a problem that plagued the set in general. The TARDIS mini set also came with two minifigures. 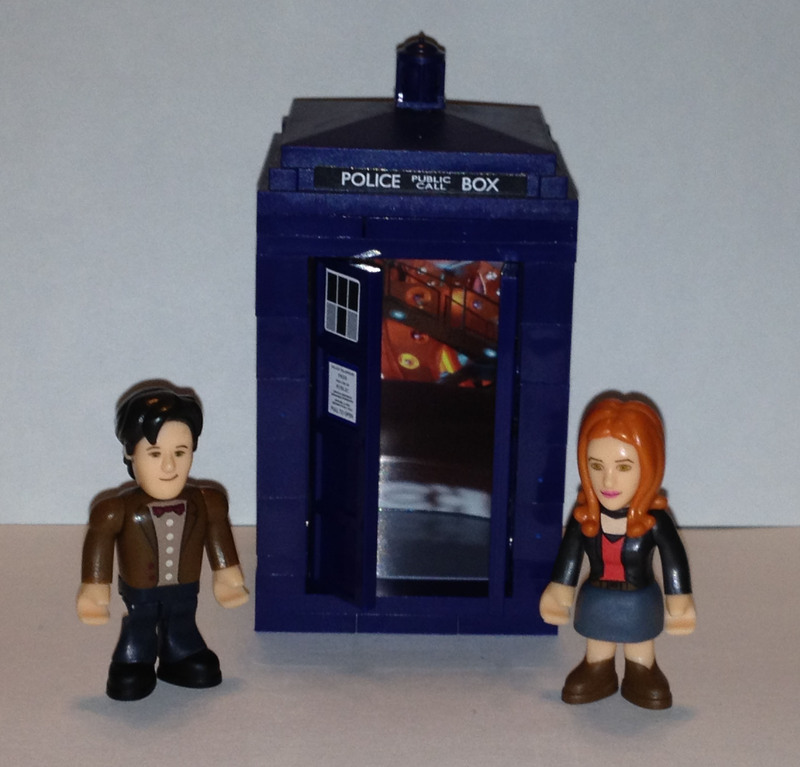 The eleventh Doctor, as portrayed by Matt Smith, and Amy Pond are both represented in minifig form. 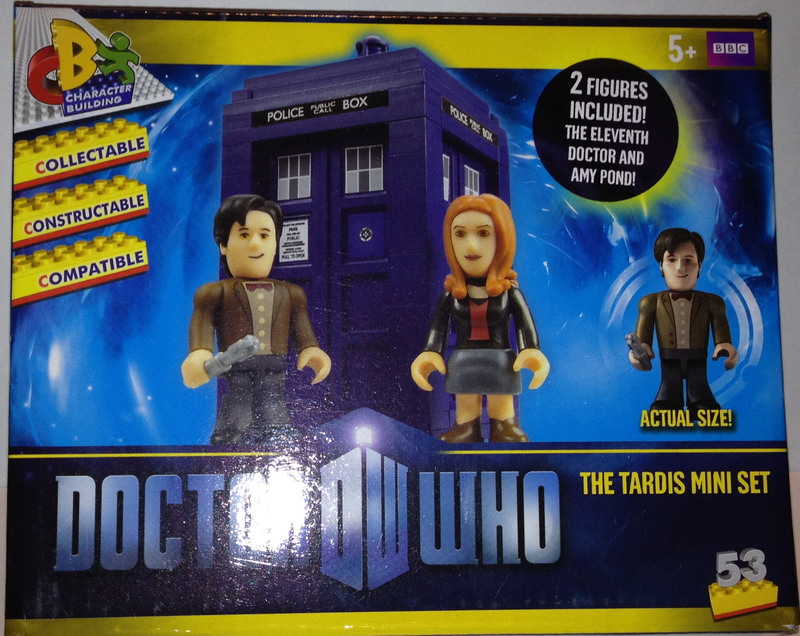 The figures are both about the same size as a LEGO minifig, but are specialized likenesses that look like cartoon versions of the Doctor and Amy, as opposed to the more general representations that are reusable for other characters. Overall, I like the set. There is a good attention to detail, from the paper insert to represent the inside of the TARDIS to the general look and feel of everything, and looks like one would hope the TARDIS and the characters would look. While it is not up to the quality standards of LEGO, it is a great gift for any Doctor Who fan who would like to build a small piece of the Doctor’s universe.